This statement from Esperanza General Manager Marc Rodriguez stuck with me on my recent visit to Mexico not only for its eloquence but for its factuality. This region at the southern tip of Mexico’s Baja California Peninsula is made up of two distinct sections—the lively Cabo San Lucas and the calmer San José del Cabo—but the area’s love story truly does center on the harmonious landscape of desert and sea. But when Hurricane Odile struck the region a year ago September, bringing with it 125 miles-per-hour winds, these star-crossed lovers hit a rocky patch, as area resorts suffered significant damage and were forced to rebuild. The outcome? These properties took Hurricane Odile by storm, transforming into destinations travelers will most likely love even more. 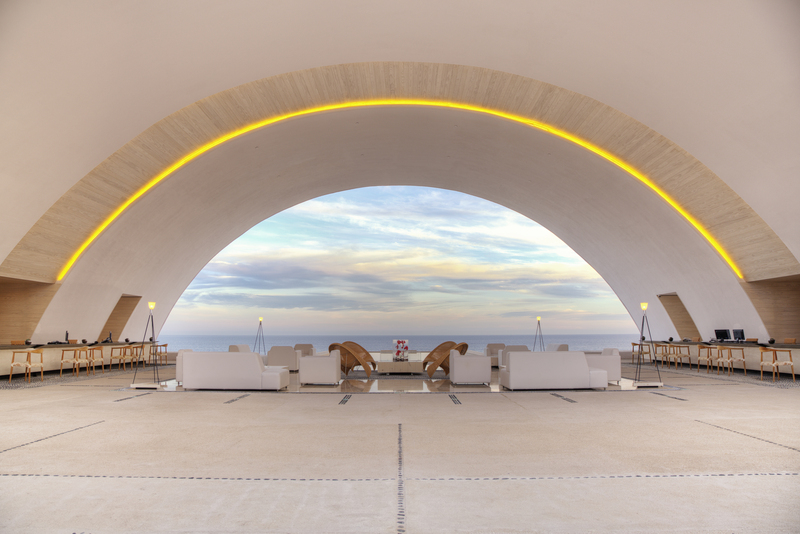 Marquis Los Cabos: Adults only, all-inclusive, and AAA Four Diamond awarded, the beachfront Marquis Los Cabos reopened March 2015 following an extensive $10-million revamp post-hurricane. Upon arrival, my attention immediately shifts from the elegant open-air lobby’s 40-foot waterfall and Latin American sculptures to its vast archway overlooking a view that embraces much of the resort, stretching from its three pools, two of them infinity style, to the breathtaking backdrop: the shimmering Sea of Cortés. Resort upgrades such as renovated restaurants, newly whitewashed exteriors, and revamped guest suites with hydro-massage tubs and outdoor terraces fuse perfectly with thoughtful signature touches, including the Marquis Wake Up ritual, where fresh coffee and sweet rolls are delivered every morning to a well-placed, door-side cubby accessible via the hallway by staff and the suite by guest. I would also be remiss not to note the 15,000-square-foot Spa Marquis, a member of the Leading Spas of the World collection that is in current collaboration with Natura Bissé. 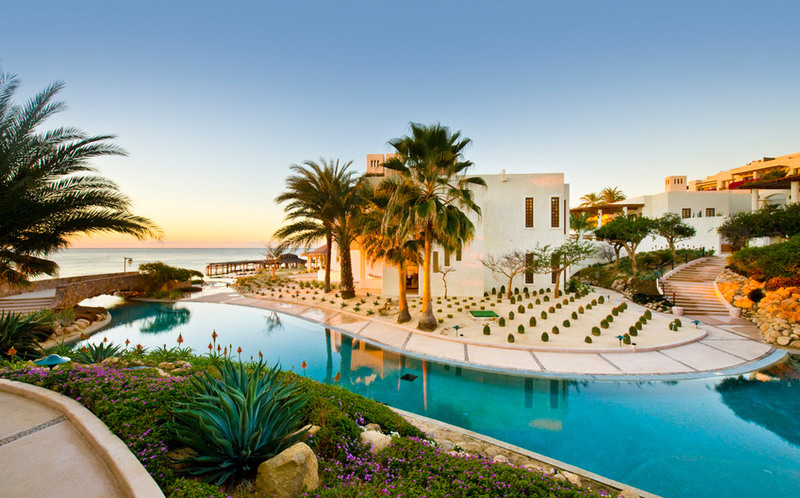 One&Only Palmilla: One&Only Palmilla is overwhelmingly beautiful—and vast. Stark white buildings with terracotta roofs accentuate the property’s vivid hues—the sapphire of the sea and pools, the golden tones of the swimmable beach’s sand, the pristine greens of the landscaped grounds. A whitewashed chapel is perched hillside, seemingly guarding the expansive property, from the bluff-poised infinity-edge pool to the sea-facing guest rooms housed in single- and three-story casas (there’s also a 27-hole Jack Nicklaus-designed golf course a short drive away; on site, guests can say hello to One&Only Palmilla’s resident tortoise). 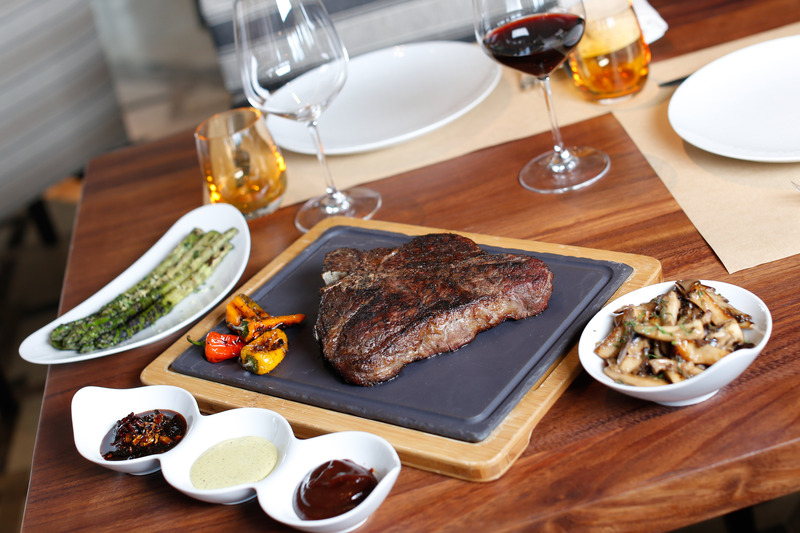 SEARED steakhouse, in collaboration with Michelin-starred Chef Jean-Georges Vongerichten, is among the enhancements following the storm (be sure to marvel at the restaurant’s glass-walled curing room showcasing tenderloin, wagyu beef, kobe, and more); the resort, which reopened its doors April 20, 2015, also reclaimed its former glory and then some with additions like refurbished guest accommodations; the redesigned Agua by Larbi restaurant (order the signature guacamole and ceviche served tableside); and the new—and quite frankly, spectacular—One&Only Spa and Fitness Centre. Secrets Puerto Los Cabos Golf & Spa Resort: This adults-only, all-inclusive resort features 500 guest suites and a neighboring championship golf course designed by legends Jack Nicklaus and Greg Norman—but the standout is a 13,000-square-foot Secrets Spa by Pevonia with a not-so-secret (and stunning) outdoor hydrotherapy circuit. As I venture from station to station, from the sauna and steam room to the showers to the cold plunge, whirlpool, and vitality pool, an attentive attendant whisks by, pressing the pool’s multi-jets button, bringing cold towels or drinks, and offering instructions on next steps. Sophistication extends not just in the spa but throughout the property, laden with decorative touches like polished floors, ironwork, and ornate wooden doors. Esperanza: Dramatically nestled between two bluffs overlooking two private coves, Esperanza sits on 17 acres, but the vibe I sense is of a resort that’s much more intimate and romantic (not to mention calm), no matter its ample dining venues (Cocina del Mar has made great upgrades), guest accommodations and privately owned villas and residences, beachfront infinity pool, yoga and Pilates studio, and tennis courts. Overlooking the sea, the private beach resort boasts ocean-view (and newly revamped) guest rooms and a lovely rock-laden spa that casts an authentic, natural feel. Some of the indoor-outdoor treatment rooms have alfresco soaking tubs, and native botanical rituals are highlighted on the menu. The 57-room resort reopened in June 2015 to a contemporary redesign, highlighted by mosaic and tilework, woven palapas and carved columns, candlelight and ceramic lanterns, and a dramatic bonfire-like sculpture that cast an artistic, enchanting allure. 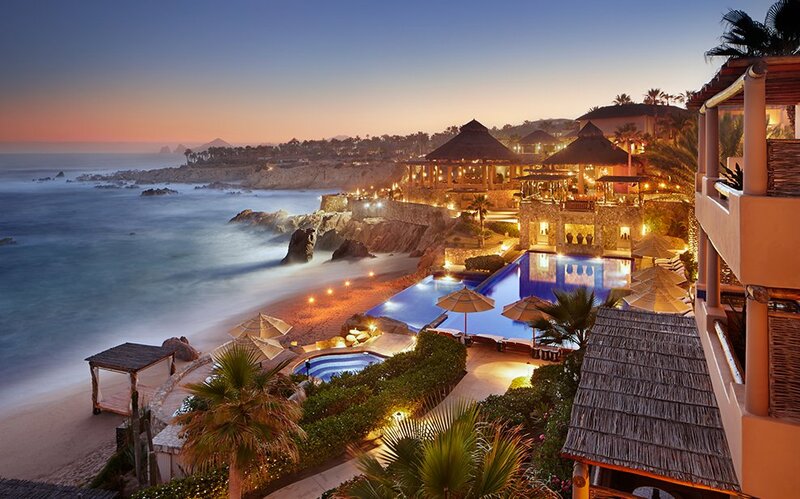 Las Ventanas Al Paraiso, A Rosewood Resort: Simply put, Las Ventanas is heavenly. Open-air palapas combine with white stucco buildings, and immaculate water and stone pathways mingle with white-sand gardens, palm trees, and cacti. Curved walls and spaces guide me throughout the spa, flowing indoors and outdoors, beginning with a palapa-covered lobby and extending to the treatment cabanas and palapa-shaded solarium, where singing bowls are played to lull you into relaxation. Hand-troweled exterior walls fuse with a hand-crafted salon floor fashioned by Mexican artisans. Its early-summer reopening coincided with the resort’s five new Baja-inspired experiences, as well as its “villa hosts” concept, available to guests reserving the new signature villas (the most opulent, Villa Cortez, sits on its own private beach and has an in-home spa, among other luxuries). The romance between the sea and desert blooms.